If a death occurs in a residence & hospice has not been involved, the police will need to be notified and respond to the residence before the deceased is removed from their home. If at any time you are not sure of who to notify or what to do, you may contact us for assistance or direction. When a death occurs in a care facility, such as a hospital or nursing home, or at home under the care of hospice, the facility staff or hospice nurse must contact us directly. We will follow up with you to help walk you through the processes that follow. When we contact you, we will ask you for information to begin completing the death certificate. 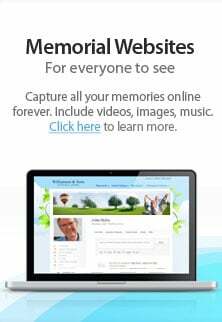 We can assist you with obituary writing, guidance through the application for financial assistance from the State of Michigan, memorial items, and custom tributes. - What about the final disposition of the cremated remains? - Is a member of the clergy needed? -Is a service planned? By contacting our staff, we'll be able to help answer your questions and assist in making the appropriate plans. You can reach us at 888-273-3553. However, as we’ve said before, one of the best ways to make sure that all of your questions and desires are taken care of is to make pre-arrangements. This is a simple process and we are more than happy to provide you our brochure with the necessary paperwork so your wishes will be written down. You may, if you desire, pre-pay for the arrangements chosen. Please contact one of our staff at to learn more about pre-arrangement. One of the first things will do is to provide you with information and guide you through the processes and paperwork that follow. We need to hear your ideas and desires so we can effectively provide for you the services you need as well as those that you desire. - Signing an authorization for cremation. A staff member of Cremation Society of Mid-Michigan is available to answer any questions you may have.